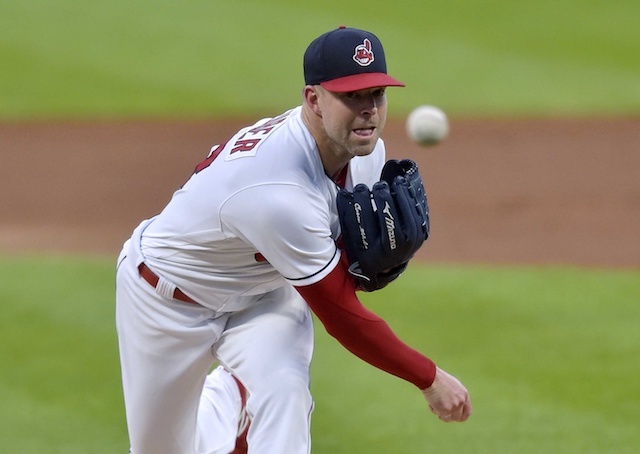 The Los Angeles Dodgers have been linked to trade talks with the Cleveland Indians for a starting pitcher, specifically Corey Kluber or Trevor Bauer, seemingly all offseason. With the Indians looking to trim payroll while also needing to add an outfielder, the Dodgers seem to be a perfect match as they have young talent to trade from. While Cody Bellinger is believed to be off-limits, the Dodgers have been reportedly willing to offer top outfield porpsect Alex Verdugo, who may interest the Indians. In that trade, the White Sox received Yoan Moncada, who was the top prospect in all of baseball at the time, another highly-touted young player in Michael Kopech as well as two other prospects. Sale was only 27 years old with three years of team control left at the time though, compared to Kluber (33 with three years of control) and Bauer (27 with two years of control). So while both of Cleveland’s pitchers are elite, it is a bit unrealistic to expect a Sale-like return. With Spring Training now a little over a month away, the Dodgers may need to begin searching for other solutions if they want to upgrade their starting rotation. They also still need to fill their hole at catcher, and trade talks with the Miami Marlins for J.T. Realmuto don’t seem to be gaining any traction.